Teen Challenge started in Brooklyn, New York in 1958 by Rev. 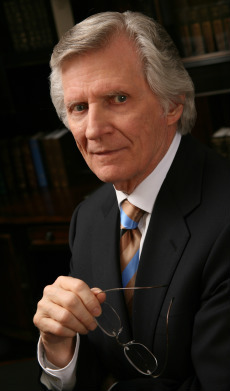 David Wilkerson. Some time after this, Rev. Wilkerson resigned his church in Pennsylvania and moved to the New York City area to work full time with teenage gang members. This new work was eventually called “Teen Challenge.” Soon, Teen Challenge began to also offer help to those addicted to drugs and alcohol. During these early years, a large home was obtained on Clinton Avenue in Brooklyn. A year-long residential discipleship program was started in this facility. This Teen Challenge program is still helping people change their lives in today! Due to its success, residential Teen Challenge centers began cropping up in cities all across America. Most of the centers offer a 12-18 month residential program for men, women, boys, or girls. These centers are designed to help individuals learn how to have a personal relationship with Jesus Christ, and in turn, live drug-free lives. The programs offer a balance of Bible classes, work assignments, and recreation. As of January 2002, at the beginning the 45th year, there were 178 Teen Challenge programs in the United States and another 150 in other countries around the world. The rest of the story of Teen Challenge is told in the best-selling book, The Cross and the Switchblade. This book has sold tens of millions of copies and has been translated into 35 different languages. Another exciting book that is available, Run Baby Run tells of notorious gang member Nicky Cruz who was one of David Wilkerson’ s early converts in New York City. Beyond the Cross and the Switchblade and The Cross is Still Mightier than the Switchblade also detail important early history of Teen Challenge. Teen Challenge has grown into one of the largest and most successful programs of its kind in the world. Visit the Teen Challenge USA page to learn more.